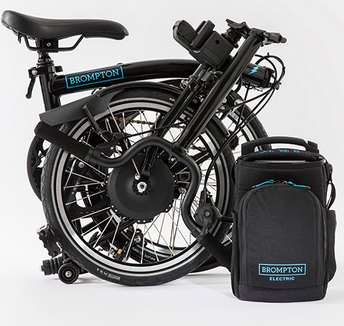 Folding bike manufacturer Bromtpon Bicycle has announced that the first run of Brompton Electric bikes are available to reserve in the UK. 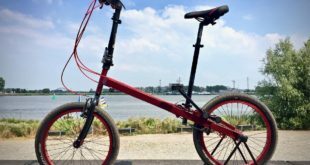 The 300 Wh battery on the new models is integrated into a compact bag that clips onto the front of the bike and has the capacity to run for 25-30 miles per charge. This powers a 250W front hub motor situated in the front wheel. The bike also features a torque and cadence sensor to allow for a smooth, seamless and energy efficient support. A dedicated Smartphone app allows users to customise their ride settings and track their mileage, and service history. The bike will be available with an M type handlebar, two or six speed in white or black. In the UK, the bike will be available from RRP £2,595 with an initial deposit of £200. 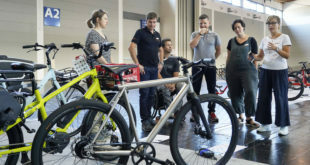 The bikes will be available to demo at Brompton Junction London from the beginning of August and selected events around the UK.